Companies can no longer just rely on sales to generate revenue. You must have a good social media plan in place. 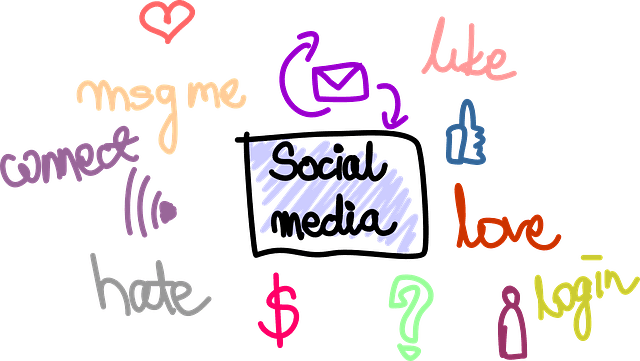 What do you want to accomplish with social media? Do you want to drive traffic to your website? Do you want to enhance your company’s brand name? What type of clients are you targeting? And even if you do drive traffic to your website, what do you want your prospects to do once they arrive? Do you want them to contact you directly? Do you want them to try your service for 30 days? Do you want them to download a white paper or case study? Before jumping on Facebook, Twitter, LinkedIn, and other sites, have a clear goal in mind. So you have high-quality content on your website. You are posting blogs on a regular basis. Great! But take time to listen to what your prospects and clients have to say. Read their comments on your website. See what they are saying about you on Twitter. Check out common industry discussion boards. Are clients leaving negative reviews on Yelp or Google Reviews – if yes, respond quickly to those bad comments before they spread like wildfire to other sites. Engagement is key to social media. The more transparent your company, the better off you will be. While it might be exciting to start posting on Facebook, Twitter and other sites, make sure you don’t spread yourself too thin. Better to have high-quality postings on two or three social media sites, and then poor postings on five to six. Sometimes it may be better to start with one or two sites first to test the waters. You want to ensure you have time to do the work, and then slowly spread out to other sites. Remember – growing followers and gaining new leads takes time. People are busy these days. They have only so much time to read. So focus on quality first and quantity second. When it comes to posting blogs or other material, you don’t have to be a novelist. However, offering good quality content is critical to your success. Hey, we all have bad days. No one is going to fault you because you wrote a lousy post or two. Just don’t make it a habit. Besides offering posts, don’t forget to offer downloadable material, like white papers, case studies, and e-books – the kind of stuff that prospects eat up! And with that downloadable material, you also obtain a prospect’s contact information – which hopefully will turn into a nice sales lead. If you want to attract and gain a following, you must be consistent with your posts. Contrary to popular belief, you don’t have to post every day. The key is to develop a schedule and stick with it. For most small companies, posting three times a week is all you need to do. If you are a large company, you may be posting daily. The goal of social media is to help you sell stuff. Period. Like the sales process, you can’t perform social media in a haphazard fashion. Take your time. Do it right.